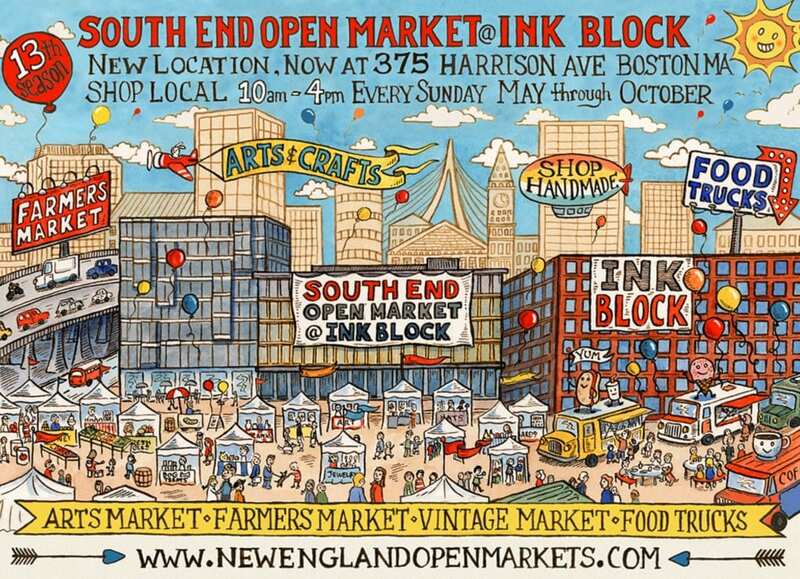 The South End Open Market @ Ink Block is open every Sunday from May through October from 10-4pm! The South End Open Market is in its 13th season but first season at their brand new location at Ink Block! The South End Open Market consists of three markets: Farmers’ Market, Arts Market and Food Trucks! This is a great way to check out local produce, handmade goods, and chow down at your favorite food truck all in one place! For more information about the South End Open Market @ Ink Block, please head here. Have you been before? Are you excited about the new location? Last time I went, it was rainy and we did Brunch at Masa beforehand for their 2-course brunch for $9.95, if anyone is looking for some budget-friendly date day ideas besides enjoying food trucks!